Can a Powder Primer Help Oily Skin? 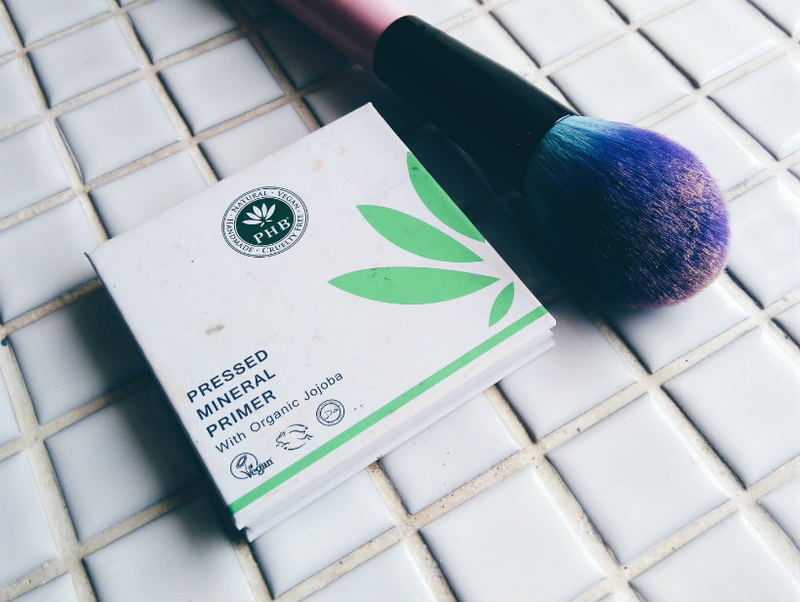 I’ve fallen in love with PHB Ethical Beauty over the past six months or so. Their products are good quality and their ethics are sound — everything they make is cruelty-free, halal, and vegan, plus 20% of their profits go to charity. I’ve tried several of their toiletries now — highlights being the soap and the body scrub — and I’ve also been using a couple of skincare products (check out my review of their Brightening range for more). But I hadn’t really looked into their make-up offerings until recently, when I started using their Pressed Mineral Primer* (v). 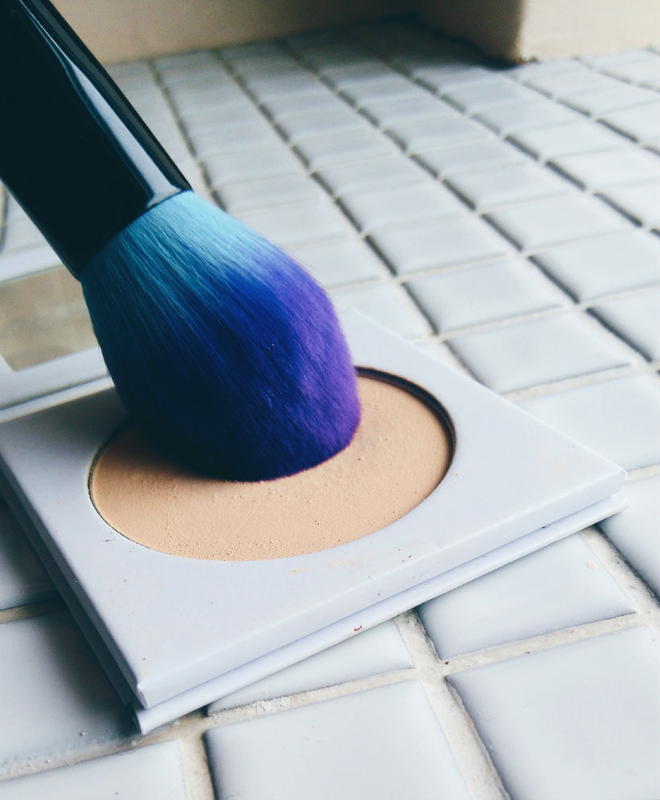 It was the first time I’d ever come across a primer in powder form, so I was very interested in testing it out. Would it work? Would it calm down my permanently shiny forehead? Let’s find out. The cardboard compact is eco-friendly and can be recycled, which I think is wonderful (most brands could be more environmentally-conscious when it comes to packaging, in my opinion). The magnetic closure means you can take the primer with you in a make-up bag without worrying about spillages, plus it closes with a satisfying snap. There’s a mirror in the compact, which is handy for touch-ups. Rather than use silicones, this primer gets its smooth feel from organic jojoba. It also contains kaolin clay and is free from parabens, nano particles, talc and fillers, mineral oils, GM ingredients, and gluten. Although the primer looks peachy in the palette, which scared me at first, it’s actually translucent and as long as you’re careful, you can’t detect it on skin. Get a bit heavy-handed, as I have once or twice, and your skin might get a slight orange tint, especially if you’re very pale, but this is easily avoided. 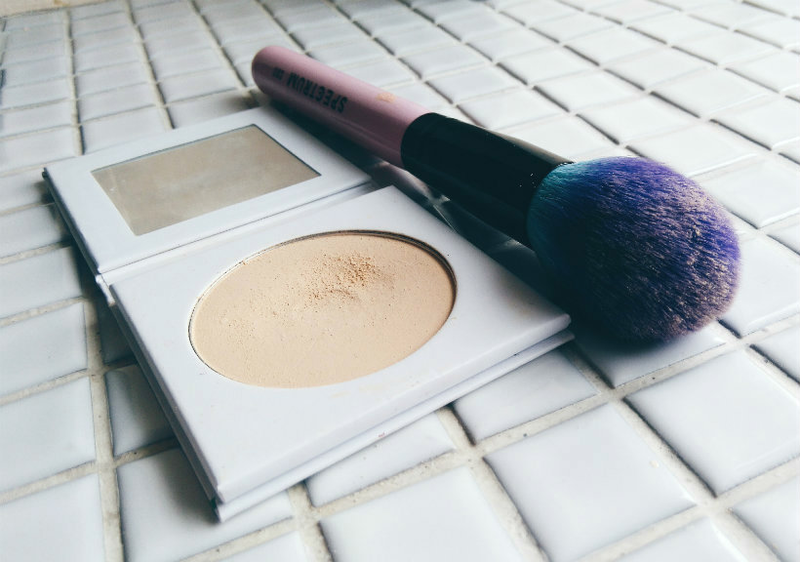 Provides a matte base for make-up, but it doesn’t make skin look dull — it just controls shine, which is what I need. Nothing can change the size of your pores, but this does at least minimize their appearance. It’s always difficult to judge the longevity of something that sits on the bottom layer of your base, but I’ve tried doing half my face with the primer and half without — several times — and the side with the primer generally lasts for a couple of hours more. I always have to blot my forehead in the middle of the day, regardless of what products I use (or whether I’m wearing make-up at all). But there seems to be less oil whenever I use the primer. I have noticed a little caking in the chin area, however — another thing that seems to happen regardless of what make-up I wear. The joys of an oily T-zone! £16.90 for 9g. This is more than I would normally aim to spend on a primer, but I’m happy to pay a bit extra for a more natural list of ingredients and a formula as lovely as this. What’s your favourite cruelty-free primer? Would you ever use a powder primer? Let me know in the comments!